Johan was 9 when he got his first electric guitar. sound anything like Hendrix’s besides the song Hear my train coming (laugh). At the age of 7, Johan joined a children’s band founded by more experienced musicians (Anders and Lasse Jansten). The band used to practice on the weekends in an empty house with lended equipment i.e Fender Stratocasters, amps and drums. -Johan says: I remember when one of the guys in the band, Magnus Olsson, bought an expensive Moog Synthesizer, a monophonic beast that when I connecting it to the Stratocaster gave me that really unique and cool sound, and we really enjoy to experiment with sounds at that time. Johan’s first real band, called Projektperfect, was born in the time period late 70`s. From there on he continued his musical journey during the 80’s in various local bands performing at school events. The most well-known band is Falcon Beer band with members as: Olof Levin (Bass), Jonny Lundholm (Drums), Johan Dann (Vocals), Magnus Olsson R.I.P (Synth) and Johan Hjortheden (Guitar). -Johan says: This time was a lot of fun going on and I learned to play guitar very well, at least my ego think that (laugh). I remember sitting on a bus going on a skiing trip, hearing a guitar solo on the radio, that from that day on kept ringing in my ears. It took me years to figure out how Eddie was doing´ this eruption solo. You know, this was before computers and internet so I had to play a LP on half speed to have a chance to learn it. However, back then, still it was too fast and I really didn’t get it right. The first amplifier Johan owned was an old tube tape recorder. This was the first time he got a massive gain when he played with his neck thru custom Stratocaster. -Johan says: Even today I can remember the smell of the hot tubes working hard. I used to play on a Fender Silverface Twin Reverb and it was freaking loud. Therefore I was pleased to be able to practice home at decent level but with full gain with my Tandberg tape recorder. Shortly after he bought a 100W Traynor amp and this became his main amp for long time. At present Johan plays with two different bands, Proxy and Powerhell. Proxy is a strict 70-80´s metal band while Powerhell has a varied style with influences from Toto, Bon Jovi and more modern rock like Nickelback. 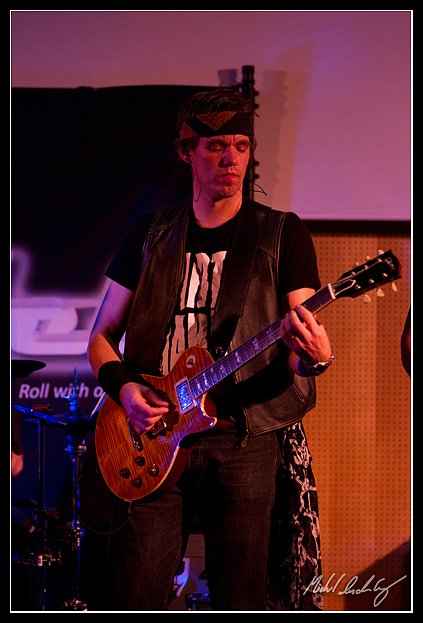 Johan have several guitars and amps but he prefer his Goldtop 57 and Marshall JMP 2203 with cabs and says: –this is the base equipment for rockers like me, when I’m going on tour of course I have several guitars with me and often a line up with Stratocasters and Gibson’s. This always reminds me of my musical heritage, starting off in an empty house with an old Stratocaster playing with my best friends. 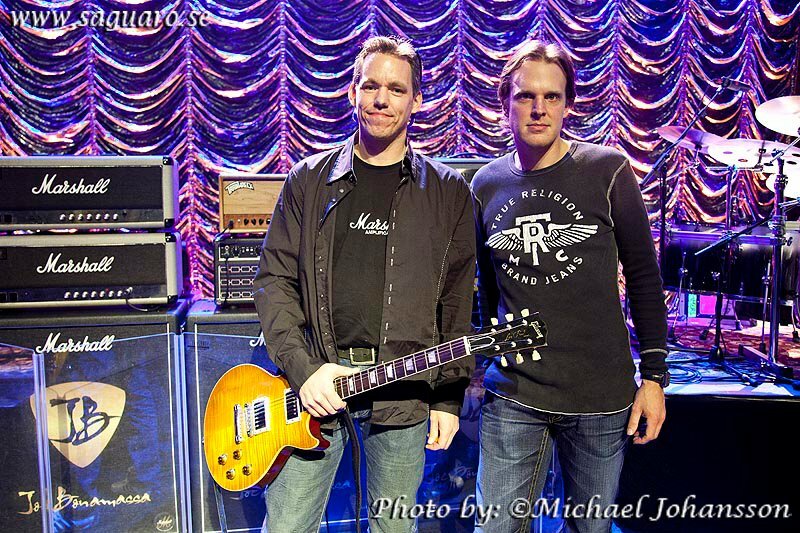 BackSlash – The winner of Sweden Rock Magazine contest – A jam session with Joe Bonamassa! Johans influencers are: Gary Moore, AC/DC, Yngwie Malmsteen, Joe Bonamassa, Deep purple, Black Sabbath, Metallica, Accept, Iron Maiden, Saxxon, Guns n Roses and Jimi Hendrix. 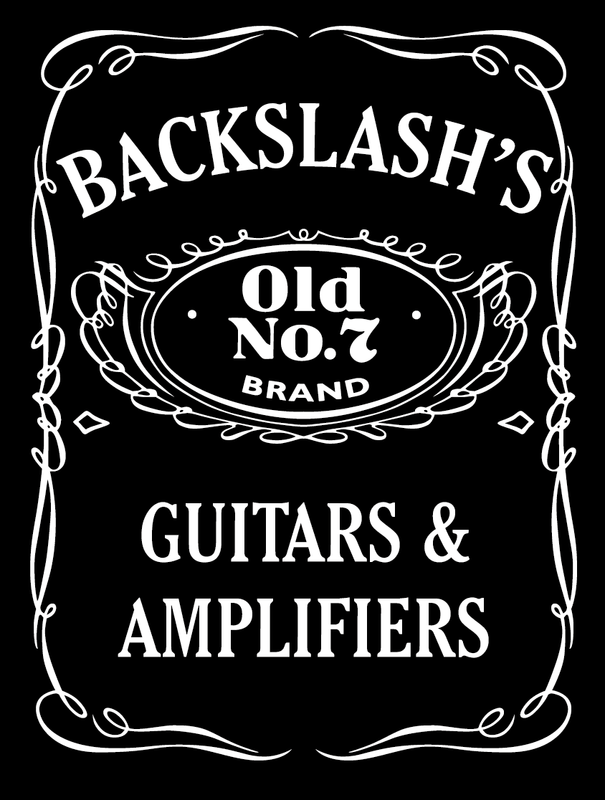 Please visit, BackSlash’s own blog! !